One piece of advice when it comes to protecting your credit score is to apply for credit sparingly. Credit inquiries can lower your score. Yet some credit checks not tied to loan or credit card products can generate the kind of inquiry that affects your credit rating. Bankrate.com explains which type of inquiry impacts a credit score, by how much and for how long. An inquiry is a notation on your credit report that someone has requested your credit file. Two types of inquiries may appear on a credit report — “hard” inquiries that can impact your credit score and “soft” inquiries that don’t. When you pull your credit report, you can see both hard and soft pulls. Creditors can only view hard inquiries. 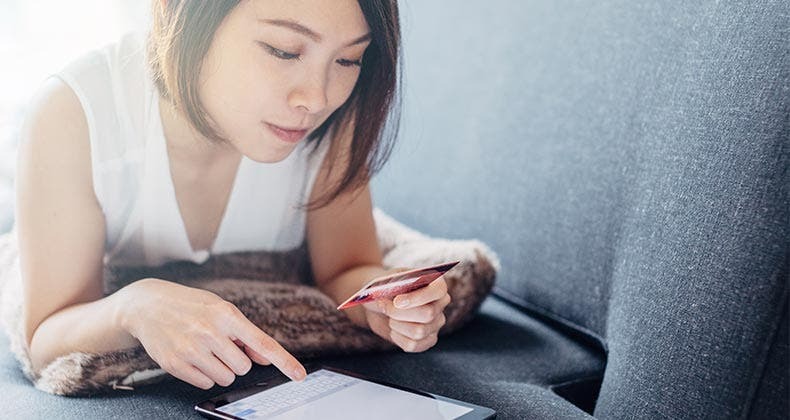 Applying for a loan or credit card can result in a hard inquiry, but applications not tied to a form of credit can result in a hard inquiry as well. 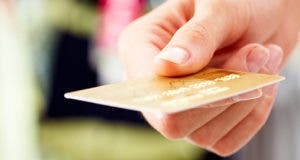 A credit check for a new mobile phone or apartment, for example, can also generate a hard pull on your credit report. 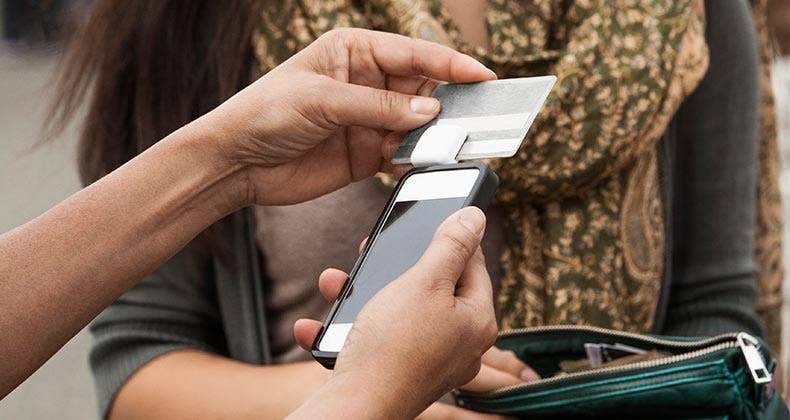 “The general rule is if it is an inquiry that indicates that you may be taking on additional financial obligations, because that could be meaningful to your risk of being able to repay other debts,” says Maxine Sweet, vice president of public education for Experian, one of the three major credit bureaus. A cellular phone or apartment signifies the possibility of an additional monthly payment. Inquiries not related to a new financial commitment won’t hurt your credit score. These include credit checks from employers, companies sending preapproved offers of credit or insurance, existing creditors conducting periodic account reviews or your own request to see your credit file. Inquiries don’t count as much as payment history, revolving utilization and other factors that contribute to the calculation of a credit score. 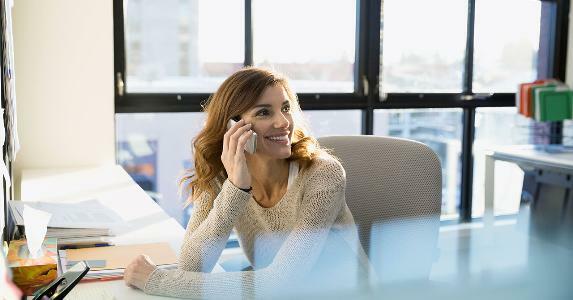 “A single inquiry typically impacts the score by one to five points,” says Sarah Davies, senior vice president of analytics and product management for Stamford, Conn.-based VantageScore Solutions LLC. All three major credit reporting agencies — Equifax, Experian and TransUnion — developed the VantageScore credit scoring model, which rolled out in 2006. 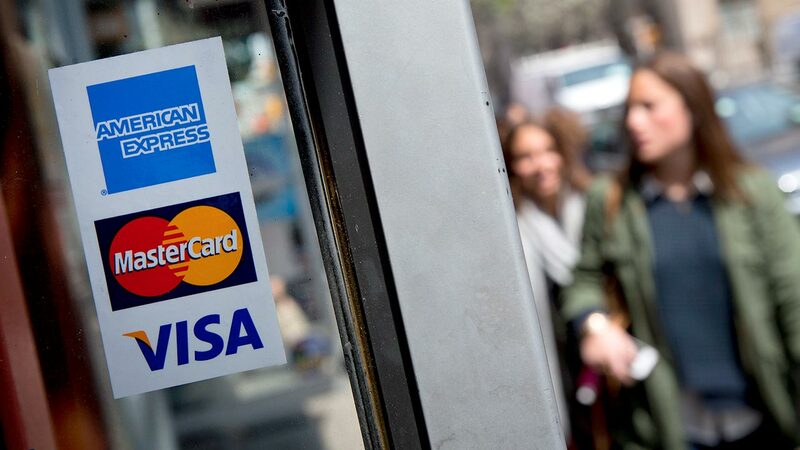 Eight of the top 10 credit card issuers use it. The actual impact of an inquiry can vary according to your credit history. If you have few accounts or a short credit history, inquiries can cost more points. The amount of points deducted may not be the same for each additional inquiry, as they might be scored in ranges. 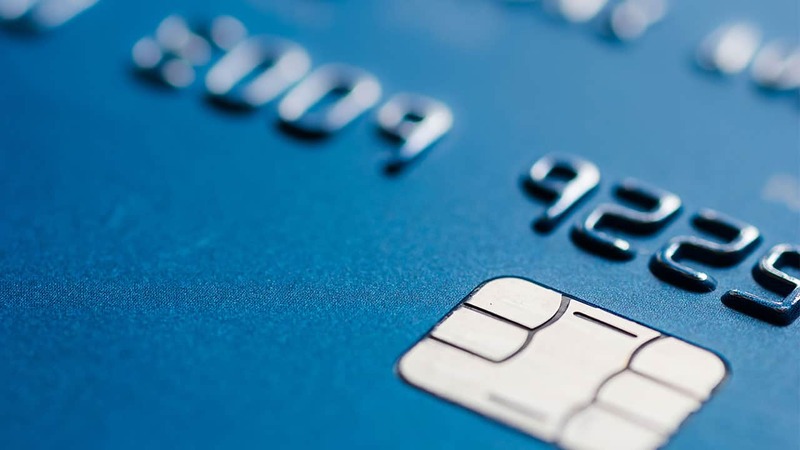 Past a certain threshold, the consumer could max out on the damage from numerous credit checks. Hard inquiries stay on credit reports for two years, but the length of time they impact the score depends on the scoring model used. VantageScore takes them into account “generally as long as they remain on the consumer’s credit file,” according to Davies. 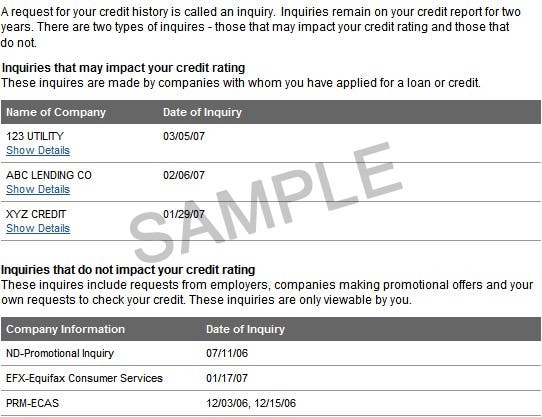 FICO scores, the industry standard, count them for the first year once they appear on the credit report. With both VantageScore and FICO scores, the impact of the inquiry remains constant during the period that it factors into the score. 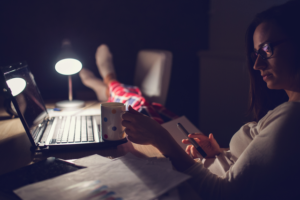 Multiple inquiries generated when rate-shopping for a mortgage, auto or student loan are consolidated by credit scoring models when done within a certain window of time. The FICO scoring model ignores mortgage, auto and student loan inquiries in the 30 days prior to scoring. Mortgage, auto and student loan inquiries older than 30 days are lumped as one inquiry whenever they fall within a 14-day span. Newer versions of the scoring model count the shopping period as any 45-day span. VantageScore lumps such inquiries that occur within a rolling 14-day window as one inquiry.